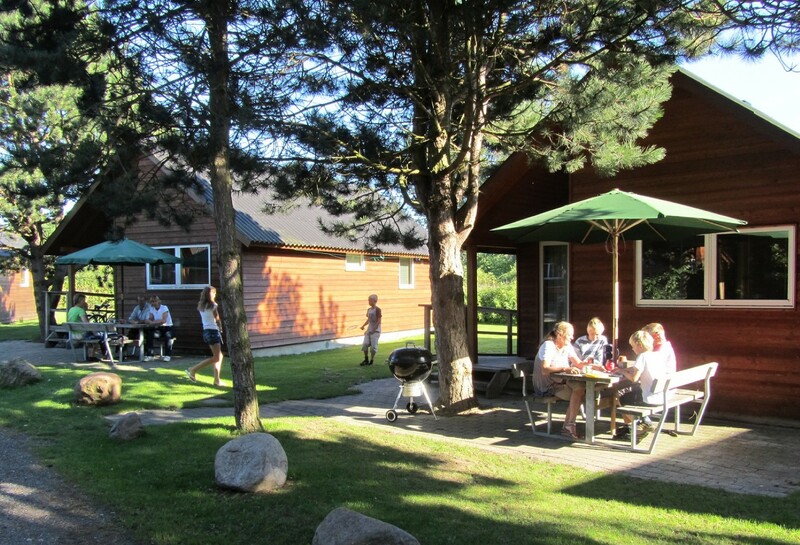 Are you considering a holiday or weekend on the Danish Baltic Sea? Then we hope to see you at Rødvig Ferieby. We use all our energy to create a safe environment for families with children and we welcome our English guests with open arms. At the resort, children of all ages can run around in a protected environment, while the parents can relax and enjoy the peace and quiet in their lovely cabin. We are family-owned and we focus on family activities. During the summer evening, we build a camp fire in our indian tipi. We barbecue, bake pancakes and enjoy ourselves regardless of language and age. Everything is very social and without any frills. Your children will make new friends in no time. Although there are plenty of excursion and sightseeing opportunities, many guests prefer to spend their time in and around their cabin, where they can enjoy their holiday under the ancient trees. 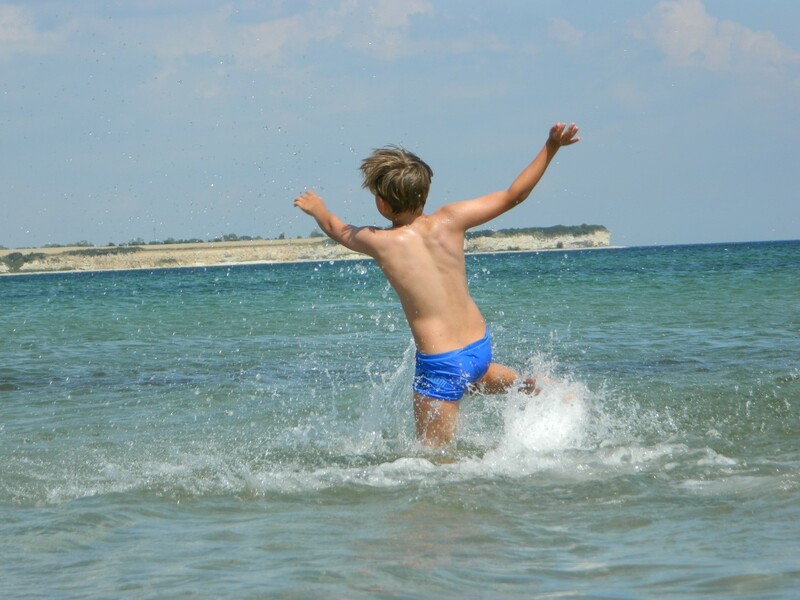 We are surrounded by fields and a small walk path leads to our wonderful child-friendly sandy beach. 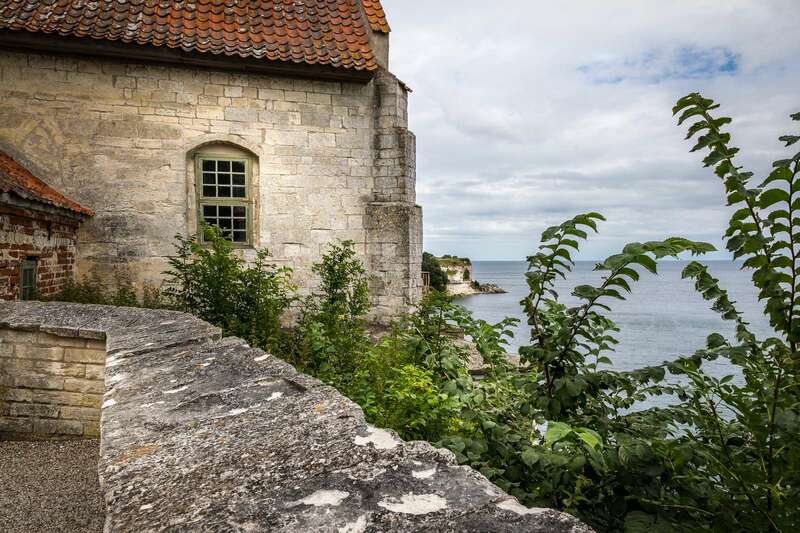 We are located on the outskirts of the lovely fisherman’s village of Rødvig, where there is always a lot going on the marina with restaurants, activities and fishing and sail boats that sail in and out of the marina. 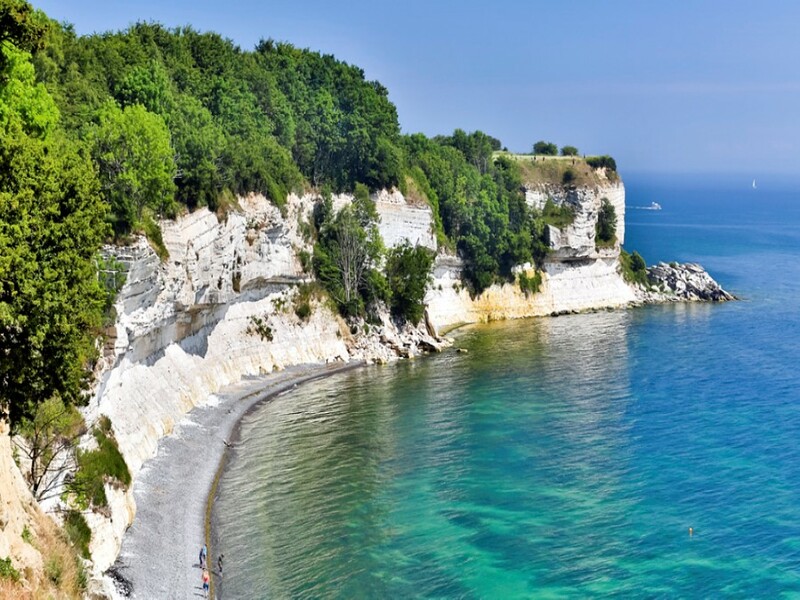 A walk along the coast brings you to Stevns Klint, which has only recently been added to the UNESCO World Natural Heritage list. Along the coast, you can find fossils dating back to when an asteroid hit the Earth and dinosaurs became extinct. For those who fancy a trip to Copenhagen, it is just an hour’s drive to the north, where you can easily manage to take a canal cruise, do some shopping, sightseeing and perhaps a enjoy the amusement park, Tivoli, which is located in the heart of Copenhagen, before heading back to Rødvig and enjoy a quick dip in the sea. You can rent bicycles for the entire family. It is very easy to bicycle to the local shops in Rødvig and buy fresh potatoes, strawberries or other groceries, which you can then prepare in your well-equipped kitchen.